At Forest Learning your child will receive the best local tuition available. We are the leaders in learning in Loughton and the local area since 2005. 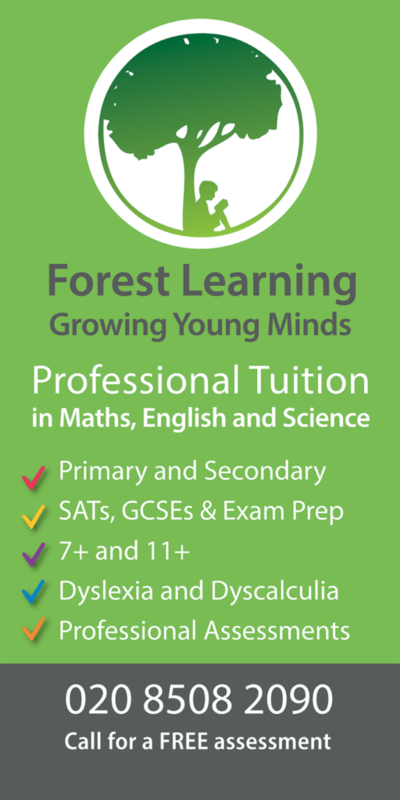 At Forest Learning we offer professional tuition and educational support for children aged 5 – 16. We start with an initial free assessment to identify each pupil’s needs and goals, which leads to an individually tailored work plan. We always treat your child as an individual. Each pupil benefits from the expert guidance of a friendly, encouraging specialist teacher who is prepared to go the extra mile to make learning enjoyable and rewarding. We pride ourselves in offering a professional service to students and parents. Our OFSTED Number is EY398457. If you are claiming Working Tax or Child Tax Credits you can possibly claim up to 80% of the fees. If you are entitled to Childcare Vouchers you can possibly claim all the cost of the lessons through the scheme offered by your employer.